Since 1996, Bay Area Lawn & Pest Control Services has been offering homeowners quality, affordable lawn spraying services in Trinity, Florida and surrounding Pasco County neighborhoods. Having the knowledge and experience in the lawn care and pest control industry, we offer our customers more than just decades of experience and knowledge necessary to keep your Florida landscape green and beautiful. But the customer service and reliability that it takes to keep you happy, year after year is what keeps you coming back to Bay Area Lawn and Pest Control Services! If you need lawn spraying, fertilization or pest control services in Trinity Florida, call us today! Our lawn spraying services provide your lawn and garden with the fertilization and insect control that is required to keep your landscapes healthy and thriving. Did you know that healthy lawns and ornamental plants are also more pest resistant? Combine the proper nutrients with lawn spraying that will help eliminate and prevent insects and lawn damaging fungus. We provide more than just lawn spraying services in communities and homes in Champions Club, Heritage Springs, Long Leaf, Fox Wood, Fox Hollow, Trinity Oaks and others. Our comprehensive outdoor and indoor pest control services for Trinity homes and businesses including green pest control services. To find out if you are in our service area, give us a call at (813)920-6008 or use our convenient online form to fill out a service request or to obtain a quote. 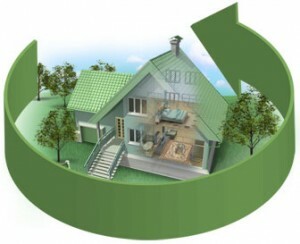 Enjoy healthy, beautiful St. Augustine grass and turf. Call us today about our lawn spraying services, Trinity, Florida. If you live in Trinity, Florida or in Pasco County, you might have all Saint Augustine grass, or a portion of your lawn might be Saint Augustine. This type of turf as well as other varieties are subject to damage from pests and diseases like chinch bugs, white grub, ground pearl, lawn fungus and web worms. These are effectively treated with our lawn spraying and fertilization products. When you hire Bay Area Lawn & Pest Control Service to provide you with lawn spraying services in Trinity, you can be sure that the appropriate amount of chemicals and fertilization will be used. Without the proper amounts of fertilization and chemicals however, problems like thatch accumulation can become a real problem, especially if you have Saint Augustine grass and particularly when nitrogen fertilization exceeds the required rate. It takes an experienced Trinity lawn care and pest control company to distribute the proper amounts of nutrients. 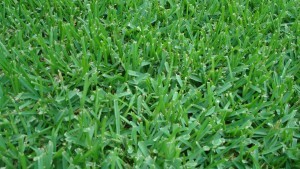 There are many factors that can limit the rate of growth of Saint Augustine grass . Bay Area Lawn & Pest Control’s experience in total lawn care helps us to combat all aspects of maintaining and promoting healthy Florida lawns and gardens from pest control to irrigation repair and maintenance. Ready to schedule service with Bay Area Lawn & Pest Control? Schedule lawn spraying service in Trinity, Fl. Bay Area Lawn & Pest Control Has Provided Tampa Bay with Lawn Care, Irrigation Repair and Pest Control Services Since 1996.